Technical Specification for AHUs and Cooling systems. Ø System configuration for Split A/C, Cassette A/C and VRV Systems. As a leading firm, we are engaged in providing HVAC Designing Service to the clients. With the years of experience, our firm provides a reliable Installation Service of many products. 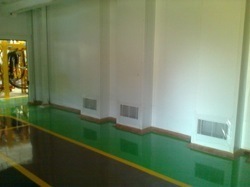 We install these products with perfect finishing and effective results. On the other hand, our Installation Service is timely executed by us, which satisfy the customer most. - Clean room applications such as computer rooms, electronics and semiconductor manufacturing facilities, pharmaceutical applications and operation theatres.